Highlight offers a wide variety of stretch wrapping solutions to meet your product requirements and budget. 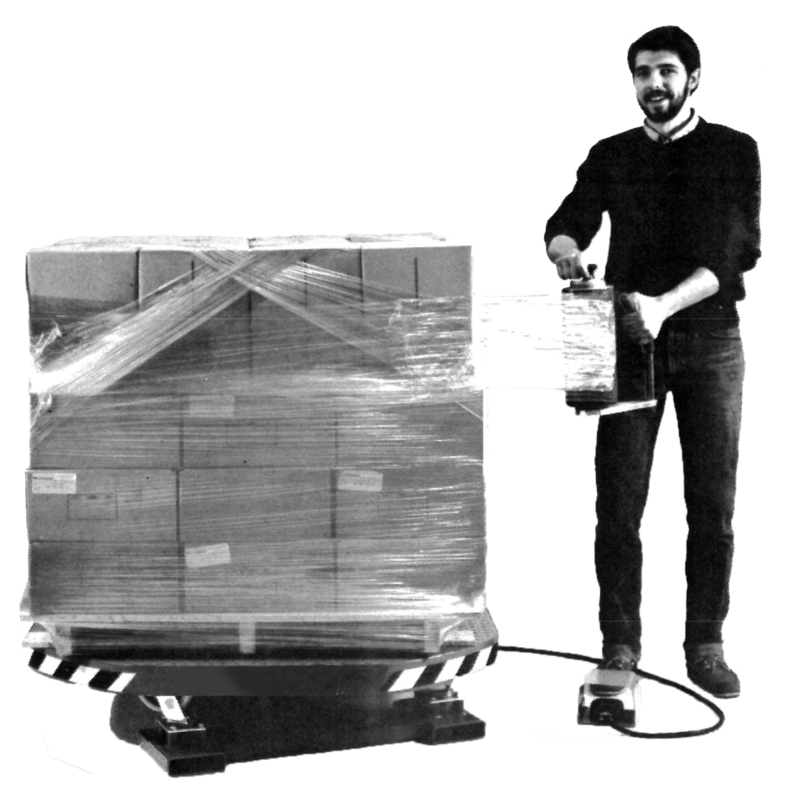 Turntable systems, rotary arm, orbital bundling, roll wrappers and coil wrappers, and more. standard systems and completely custom designs are available. 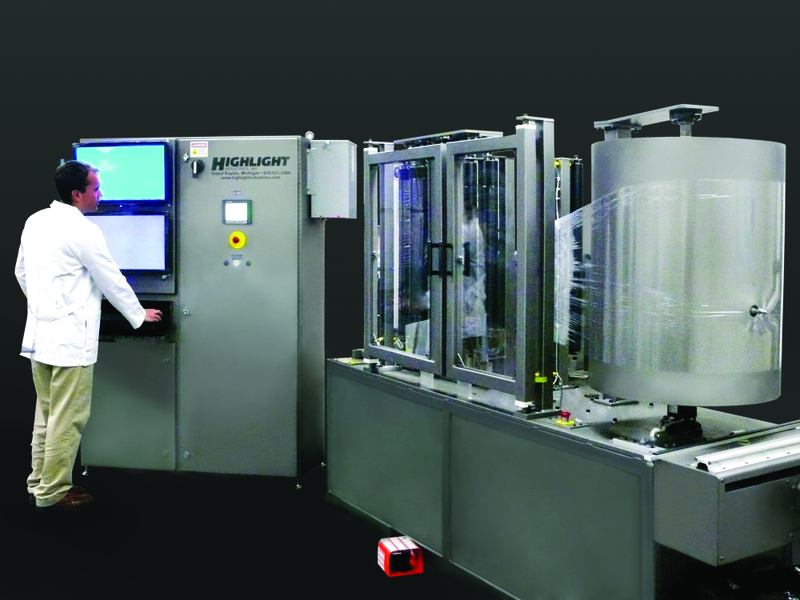 Highlight Magnum case handling systems are available in a range of styles and automation packages to suite your needs. Side belt drives, top and bottom belt drives, random size modes and uniform modes. case formers are available with top and/or bottom flap folding. all available in standard sizes or custom size options. Arch, table top, pallet, automatic, and semi-automatic styles. 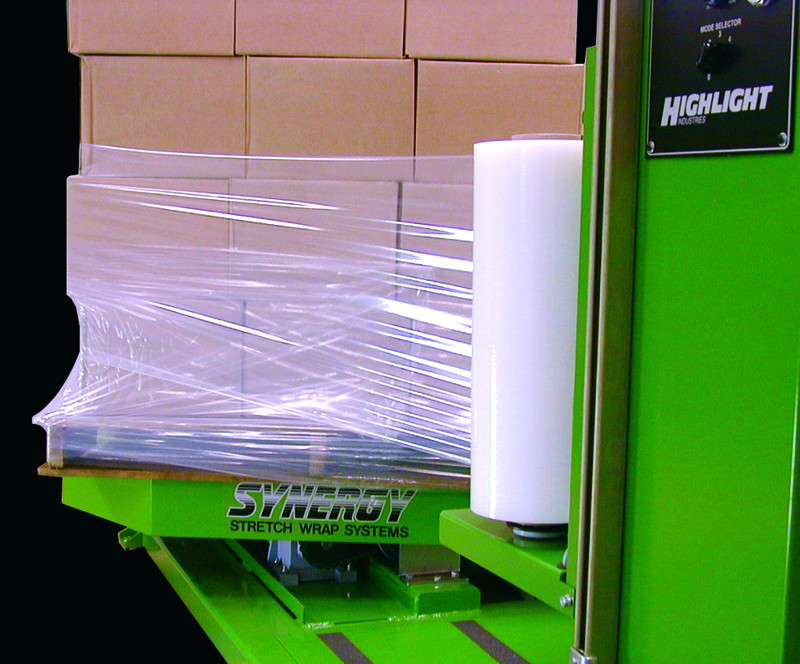 Saturn brand strapping systems are available in an array of styles with varying automation packages. Arch sizes and strap sizes can also be customized. semi-automatic and automatic systems can also be integrated with other machinery and conveyor systems to complete a packaging line. Whether you are testing in the field or in the lab, Highlight's film test equipment will accurately and easily help you gain a better knowledge of your machine's performance, your film's performance, and your load safety. Highlight is the world leader in stretch film testing, with over 35 years of experience in the field. All of the tools to help you maximize your productivity without breaking your budget. Fantom wrappers, Eliminator Wrappers, Hand wrapping tools, Hand taping tools, powered turntables, and more! Highlight has several easy and economical options to help secure and protect your products.